The mission of W.A.G. (Whitefish Animal Group) is to promote responsible dog ownership and to establish a safe, legal, fenced off-leash dog park for Whitefish. WAG park is an ongoing collaboration between community and city governance. Hugh Rogers WAG Park is owned by the City of Whitefish and managed in cooperation with WAG. 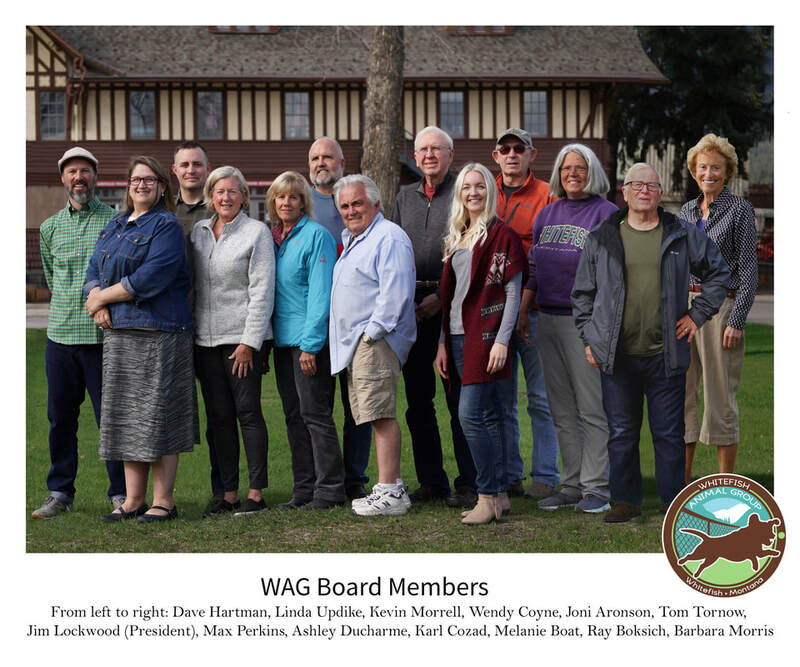 WAG is comprised of 15 dedicated volunteers who are passionate about dogs and the community. WAG volunteers believe dogs simply make communities a better place to live. Leash your dogs when entering and exiting the park area. Pick up your dog's waste. [Municipal Ordinance 00-15]. Supervise your dogs and kids carefully. Display valid license and rabies tags. Leave dogs under four months of age, sick, or in heat at home. Know that your liable for injury or damage caused by your dog. Handle conflicts with respect, grace and good humor. Hugh Rogers WAG Park is named in honor of a beloved local veterinarian and animal advocate. Rogers purchased Alpine Animal Hospital in Whitefish in 1997 and was a highly respected and extraordinarily compassionate doctor to all creatures great and small. In fact, it was James Herriot's book "All Creatures Great and Small" that inspired Hugh to become a veterinarian. He had an unwavering commitment to help animals and their owners in need, regularly working on call 24/7 for extended periods of time and often without days off. He frequently used his personal time and resources to help strays and shelter animals. Rogers combined his love of flying with his life's mission to serve those in need by devoting his plane and his piloting skills to Angel Flight, a program providing free flights to children and adults who lack medical access. 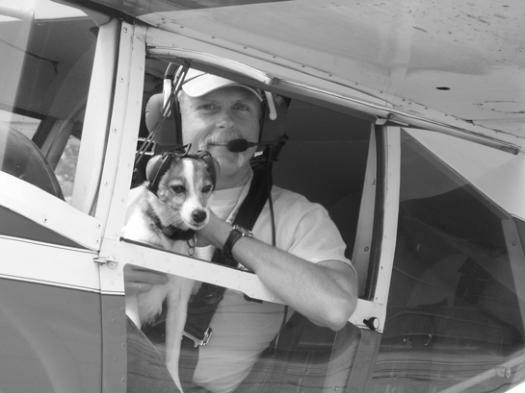 Dr. Rogers passed away on his 50th birthday on April 1, 2009 due to injuries sustained when his Maule M-4 plane that he was piloting crashed over the Hungry Horse Reservoir. Hugh Rogers legacy as a philanthropist continues to inspire and is forever cherished in our piece of pup paradise.